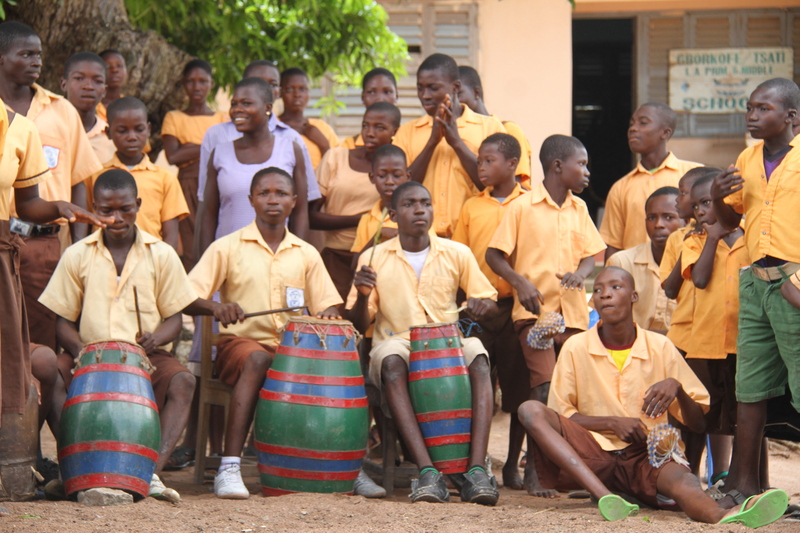 At the end of the school day, the entire school gathered and a group of students where selected to do the drumming, dancing, and performing. The kids can most definitely out-dance me (by far! ), but I did pretty well when one student challenged me to a handstand contest mid-dance. I got to try the drumming with a couple of tree branches–much more of an upper-arm workout than it looks!